Hello buddies.. As KnowCrazy.com is going to enter into 3rd awesome year on 9th November 2012 we have decided to give the return gift for the gift of love and support we have received in last two years. We have a giveaway of a more than 4000 backlinks!!.. 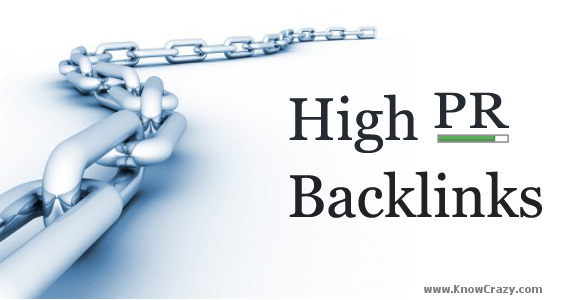 We have thousands of quality backlinks waiting just for you.. :)) :))..
All you have to do to enter in this contact is filling the details about your blog / website / facebook page / about me page / etc.. that are mentioned in this post. You can either email us these details or fill out the form. Once received your information we will make a post for it on our blog. You have to share and promote that post. The winner will be decided on the base of total Shares (Likes, Tweets, +1's) he/she gets on his post. The Top 15 Winners will be decided on sum of the total shares on the post. ++ Learn more about backlinks and giveaway.